Are you frustrated by the lack of code samples for a certain programming task? Have you ever struggled to quickly get started with a technique? 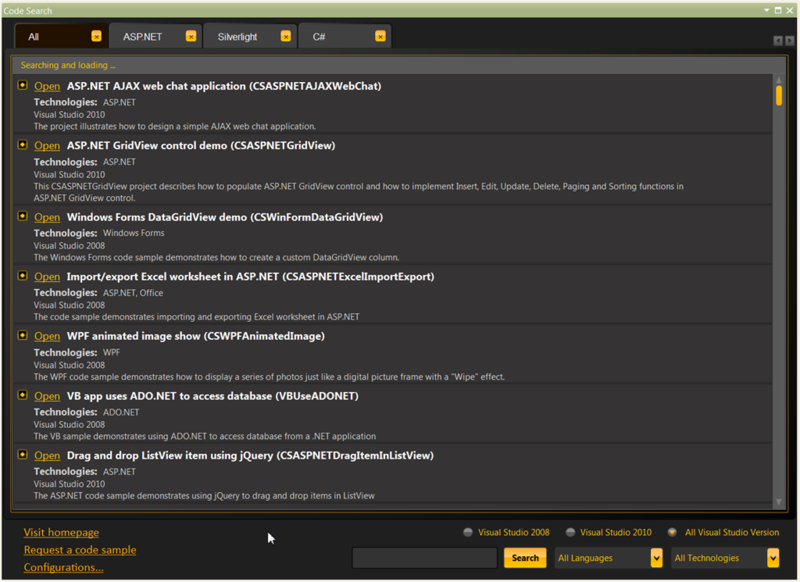 Have you expected someone to write code samples for you based on your requests for free? 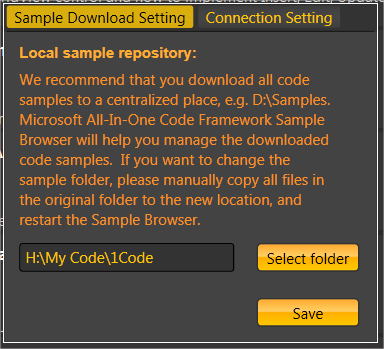 Is a one-stop code sample library for all Microsoft development technologies attractive to you? If your answer is YES to any of these questions, the Microsoft All-In-One Code Framework is for you! After watching the introduction video here, I decided to get it installed. 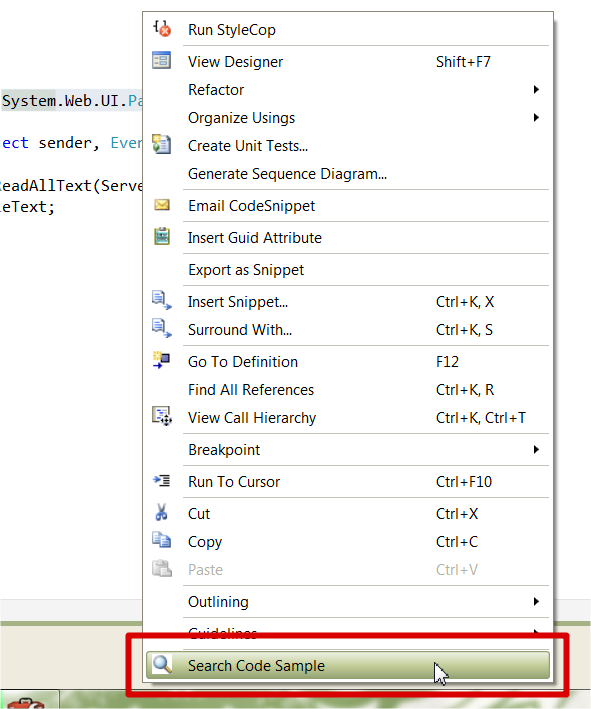 There are two ways that you can use it, either as a standalone application or as a Visual Studio 2010 Extension. Due to the fact that the sample application is intended for use with the Express Editions of Visual Studio and because I am a hoarder of Visual Studio Extensions, I opted to install the Extension. Where you have the option to filter on keyword, language and technology. There are currently 678 sample applications that span a very wide area. The people behind this strive to create each sample using C#, VB.Net and C++, as well as for Visual Studio 2008 and Visual Studio 2010, so you should always be able to find sample in the language that you require. If you can’t, there is also the option to request a particular code sample. You have the option to either download the sample applications as and when you require them, or you can download them all at once. Also, if an update to an application is published to the CodePlex site, the application notifies you of this, and gives you the option to upgrade. All in all, I think that this is going to be a useful resource, and I would encourage you to take a look. Part of becoming a better programmer involves reading other peoples code, and this application gives you access to lots of it.